Mrs. Atkinson has 15 years’ experience in human resources management in private sector, gaming and security services industries.In her role as the Human Resources Manager, Ms. Atkinson is responsible for overseeing all human resources department functions including recruitment and employment; training and development; compensation and benefit programs; and employee and labor relations. Ms. Atkinson is a Certified Senior Professional in Human Resources (SPHR). 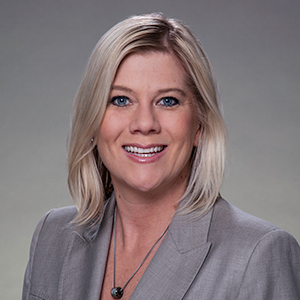 She serves on a variety of workforce planning and human resources committees and is also active in both the Northern Nevada Human Resources Association and the Society for Human Resources Management.